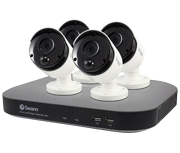 Super high definition 3 megapixel recording (1.5 x clearer than HD 1080p) with four bullet and two dome True Detect thermal-sensing cameras. 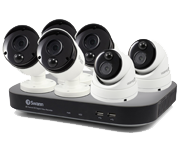 Includes 4 x PRO-3MPMSB heat sensing bullet cameras. 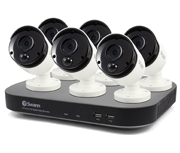 Includes 2 x PRO-3MPMSD heat sensing dome cameras.